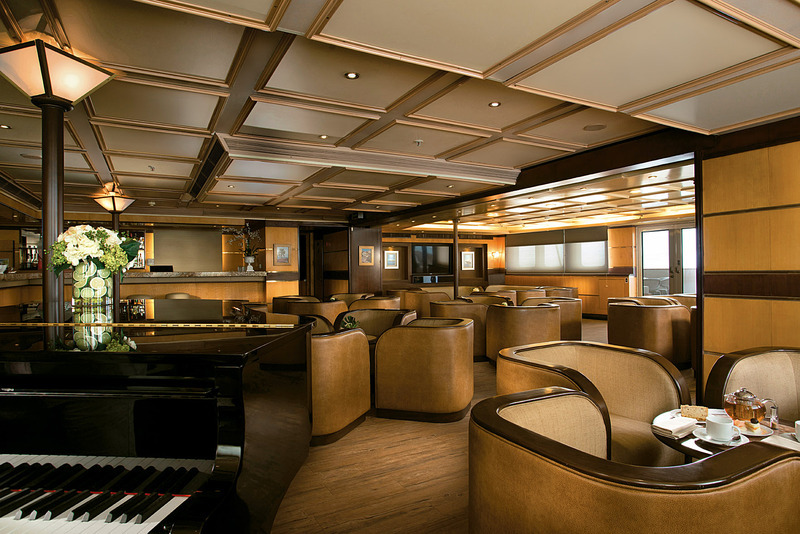 Silversea's fleet of ultra-luxury ships now boasts an incredible expeditionary vessel, Silver Galapagos. True to its name, Silver Galapagos is built with sleek lines and an innate skill for navigating the wondrous waterways of the Galapagos Islands. Offering the intimate atmosphere and elegant sophistication for which Silversea is unrivalled, Silver Galapagos is the ideal way to explore the natural wonder that is the Galapagos Islands. Experience the wonders of nature as you travel with like-minded guests from across the globe; the ambience onboard the ship will remind you of a country club, as conversation flows as easily as the complimentary drinks on your ship. 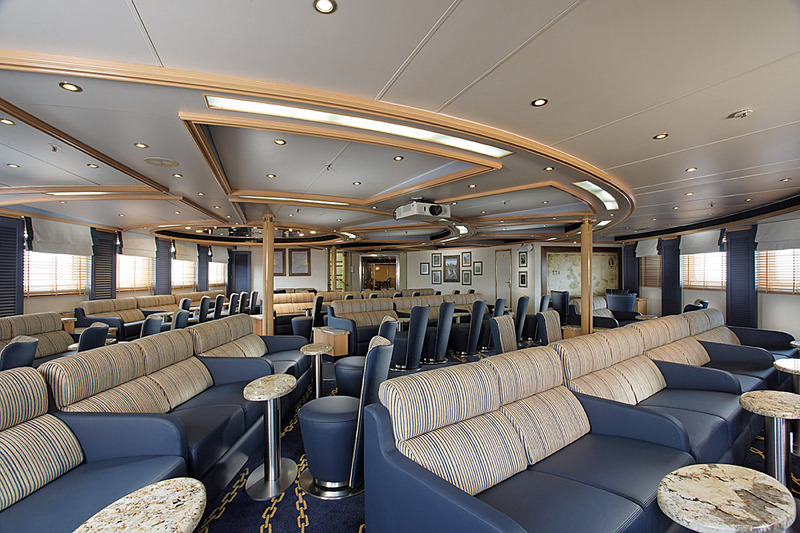 Attend informative lectures, recaps and briefings, and enjoy views of the islands in the Explorer Lounge on Deck 3. Along with a sophisticated AV system, there’s also a small photography station with an IMac where guests can download and edit their photographs during their time on board. 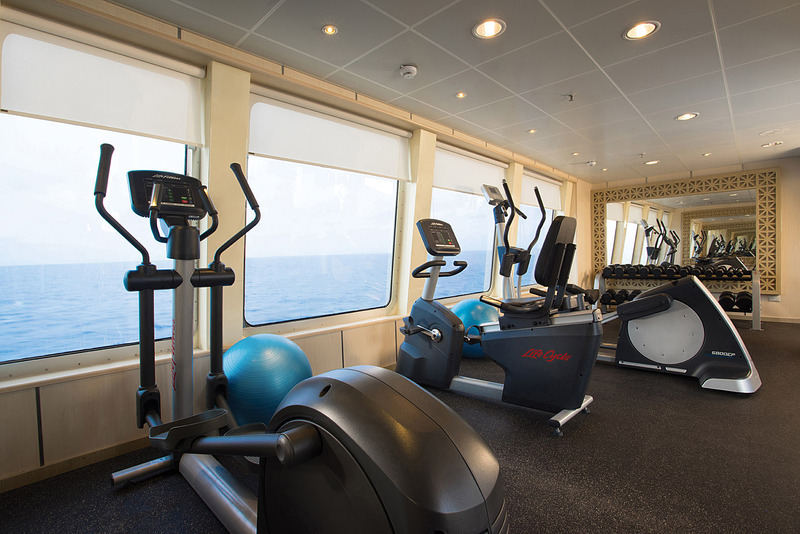 Eye-opening panoramas inspire you ever onward in the Fitness Centre with its treadmill, elliptical trainer, stationary bike and a weight machine. The menu in The Restaurant includes a wide range of international selections to accommodate the global palate of our guests. Our chefs always include a choice of local Ecuadorean specialities to enrich your culinary journey, as well, but whether you choose Galapagos Lobster à la Galapaguera or filet mignon with truffles, your selections will be artfully presented and served. The Restaurant offers open-seating dining, which means there are no assigned times, no assigned tables. You are free to dine when, where and with whom you please. Soft breezes and island views beckon at The Grill, especially as the sun goes down, when guests gather at the outdoor bar for cocktails and tapas, and talk about their day. Dining options include a choice of lighter fare as well as grilled favourites and fresh-from-the-oven pizza. In the evening The Grill is transformed into an intimate, interactive eatery where diners can grill their own fresh seafood and prime cuts under a canopy of stars. 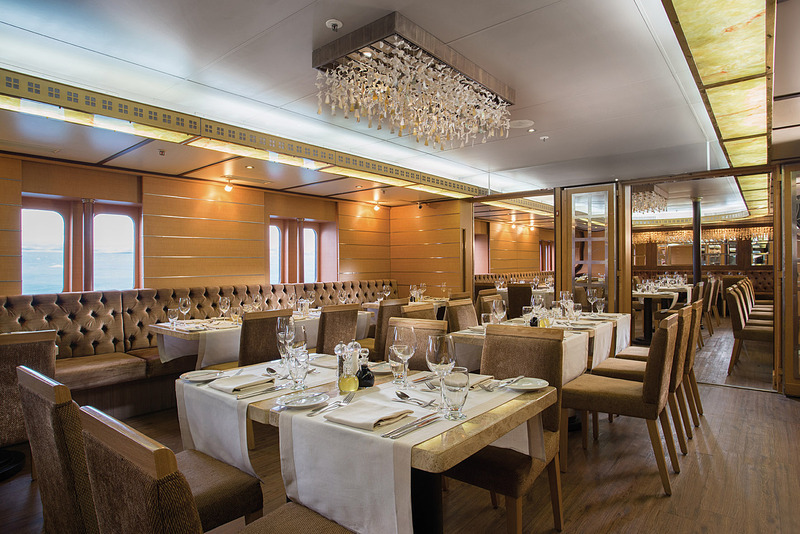 This alternative dining venue is always a favourite with Silversea guests, and dinner reservations are recommended. 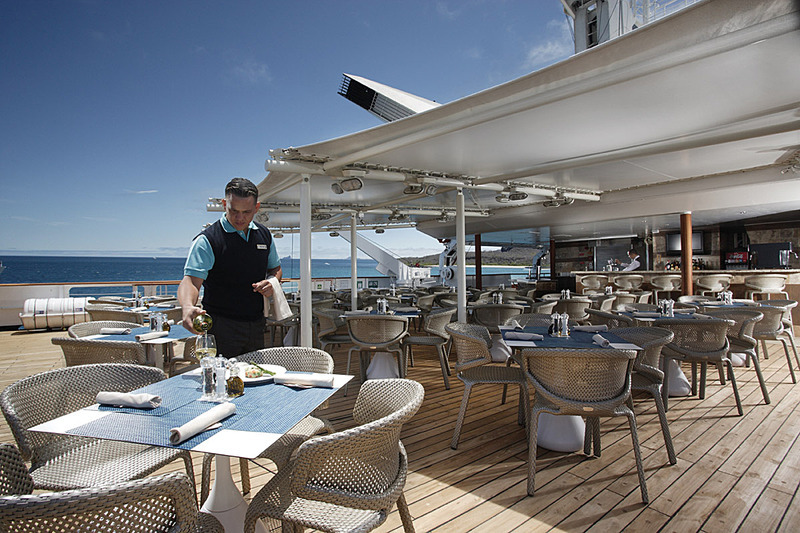 Meet and mingle with fellow travellers and your expedition leaders in the Piano Bar, where cocktails are served and views of blue seas and lava-rock landscapes are always on display. Your bartender will quickly learn your favourite drink, but do try one of the local concoctions — a Blue Footed Boobie perhaps. Accompanied by the music of our resident pianist, you can take your afternoon tea here, and enjoy pre-dinner cocktails before an impromptu dinner with new-found friends.